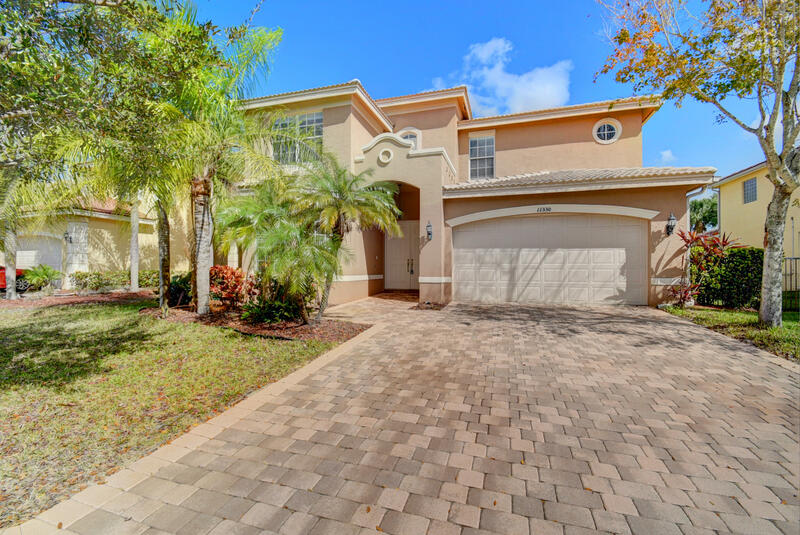 Welcome to Canyon Isles by GL Homes located in Boynton Beach Fl.. This 5 bedroom 4 bath Amethyst model home has everything you could want. The fifth bedroom on the main level with a full bath is perfect as guest room, office or playroom. Wood floors on the main level. This home offer many upgrades. The eat in kitchen features 42 cabinets, stainless steel appliances. Crown moulding thought out. Upstairs you will find 4 bedrooms, 3 baths includes a jack and jill bath ,laundry room and a nice size loft. The amenities at Canyon Isles are fantastic, they include a large aerobics studio fitness center, themed kids center w/ outdoor patio, resort styled pool, outdoor spa, 3 kids water play zones,,kiddie pool, tennis courts ,full basketball court The is a perfect home for families.